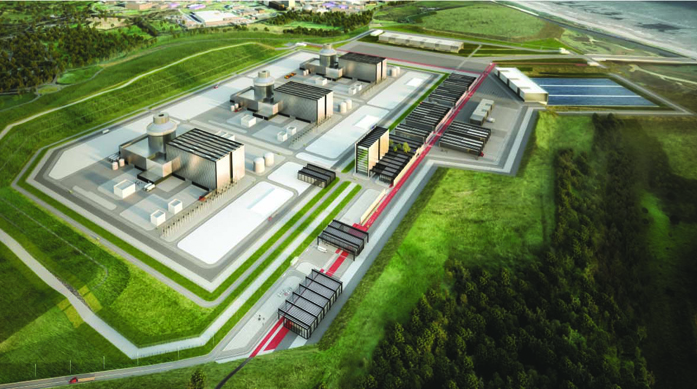 Labour shadow BEIS secretary Rebecca Long-Bailey has demanded the government takes action to save the Moorside nuclear project from collapse. She has called on ministers to provide urgent reassurances over the future of the development in Cumbria after the reactor supplier Westinghouse filed for bankruptcy protection in the US. “This announcement throws into doubt the Moorside new nuclear plant that could create 20,000 jobs in Cumbria,” Bailey said in a statement. She continued: “When Westinghouse’s viability was first called into question, Labour said the government should step in to underwrite the company’s investment if the project was at significant risk of collapsing. Unfortunately, the government dragged its heels. “The government must now urgently provide assurances about the future of Moorside. Relying on the private sector alone, in absence of a robust contractual legal structure, has failed. The GMB union, which represents workers in the nuclear industry, joined Labour in seeking reassurances from the government over Moorside, saying the collapse of Westinghouse could “delay the project or even put its entire future in limbo”. “It is vital that this project is given the certainty it needs and therefore we are calling on an urgent government announcement to give clear and unambiguous clarity for the short, medium and long term future of Moorside,” said GMB senior organiser Chris Jukes. The bankruptcy filing has its roots in Westinghouse’s purchase of nuclear construction firm CB&I Stone & Webster for $227 million in October 2015. Cost overruns at two projects in the US which CB&I Stone & Webster had been contracted to build – one in Georgia and one in South Carolina – led Westinghouse’s parent company Toshiba to take a $6.1 billion write down on the acquisition in January. The Japanese conglomerate, which owns a 60 per cent stake in the Moorside development, announced it was reviewing its overseas nuclear operations following the write-down, leaving the future of the project in doubt. Several weeks later it reaffirmed its commitment to the development but said it will have no involvement in construction and will sell its share once the plant is complete. Like Westinghouse, Toshiba has also found itself in dire straits financially and earlier in March was reported to be considering the sale of its nuclear subsidiary to sure up its balance sheet. Westinghouse is scheduled to supply three of its AP1000 reactors for the 3.4GW Moorside plant. Earlier today (30 March) the Office for Nuclear Regulation and the Environment Agency approved the reactor design for use in the UK following the completion of a generic design assessment (GDA).